Although the kitchen of your dreams might not be huge like in Hollywood movies, it should still reflect your style. Also, a kitchen needs to be both practical and modern. We have good news for those who have a small kitchen and are looking to create a spectacular environment. Here the size does not matter because our architects have the necessary tools to make the area multiply. In this ideabook, we will show you 10 beautiful kitchens that prove our statement. All of them showcase a unique rustic style and are ideal for small environments. While dealing with only a few square meters, the solution used should be as functional as possible. 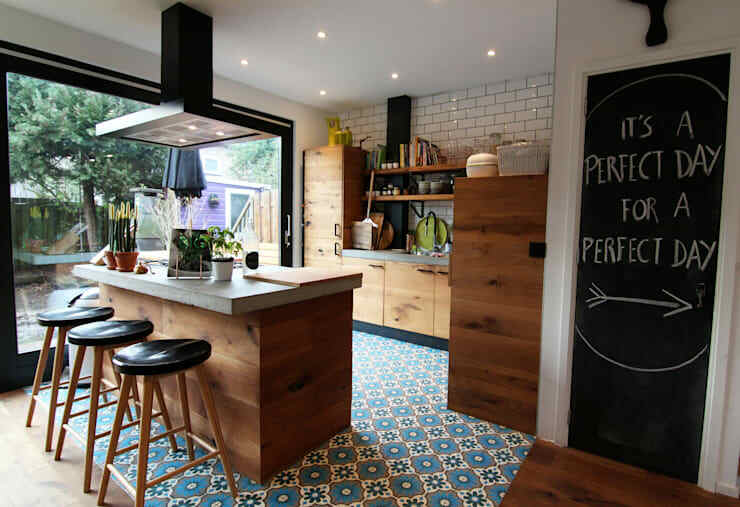 The kitchen aspect looks even more beautiful by blending modern and rustic styles. In this design, the bench of straight lines and smooth surface contrasts with the stone wall. 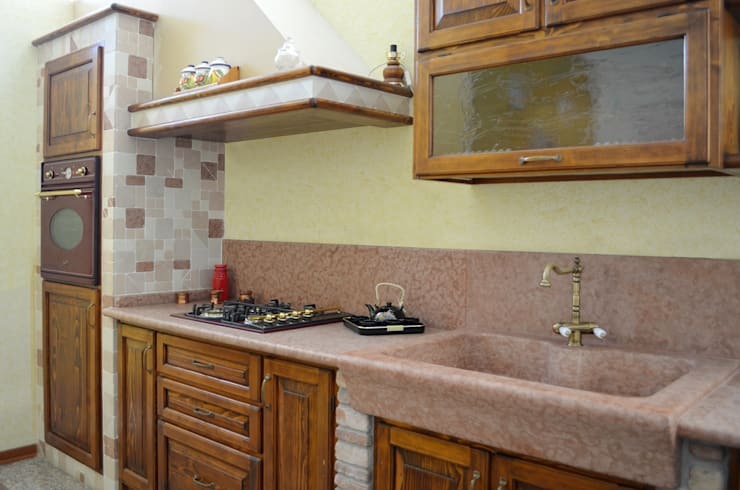 The decoration of small kitchens should be done with care. With an exaggerated decoration, they end up looking even small. To reflect your personality, make sure to bet on original objects. Antique accessories give an authentic character and can help create a comfortable atmosphere at home. 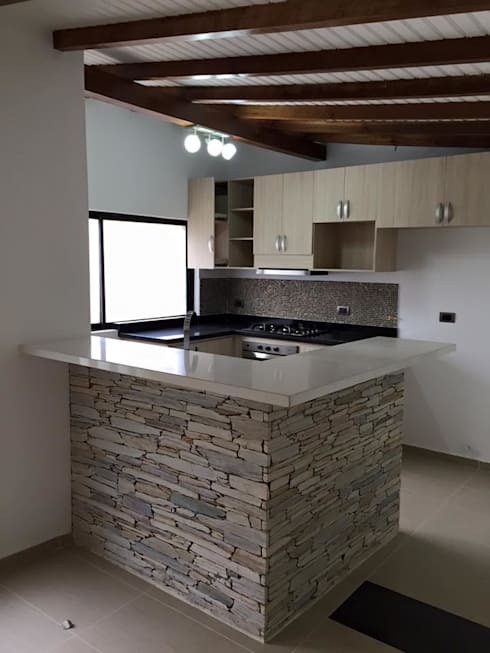 Stone is the best material to assemble a country style or rustic kitchen. The pink granite countertop itself is unusual. 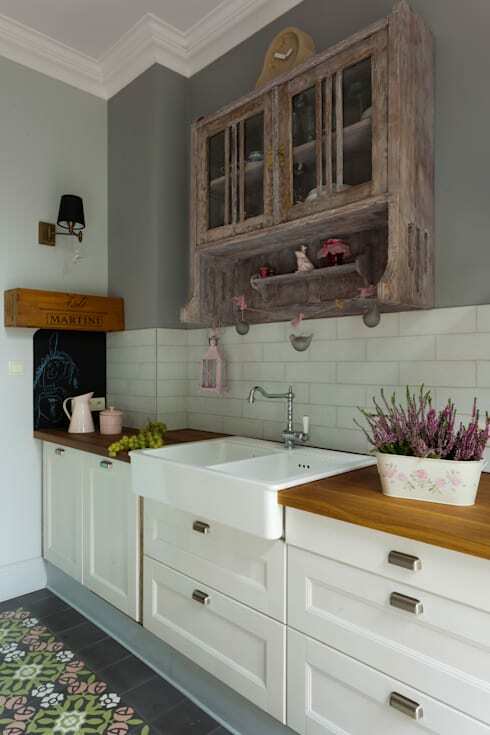 When combined with wooden cabinets, it adds a touch of freshness to the room. A simple solution to make your rustic kitchen look beautiful is to leave the walls uncoated. The best way to do so is by not worry about having a smooth appearance as the irregular textures provide a great charm. The white painting is perfect to give a final finish to the area. 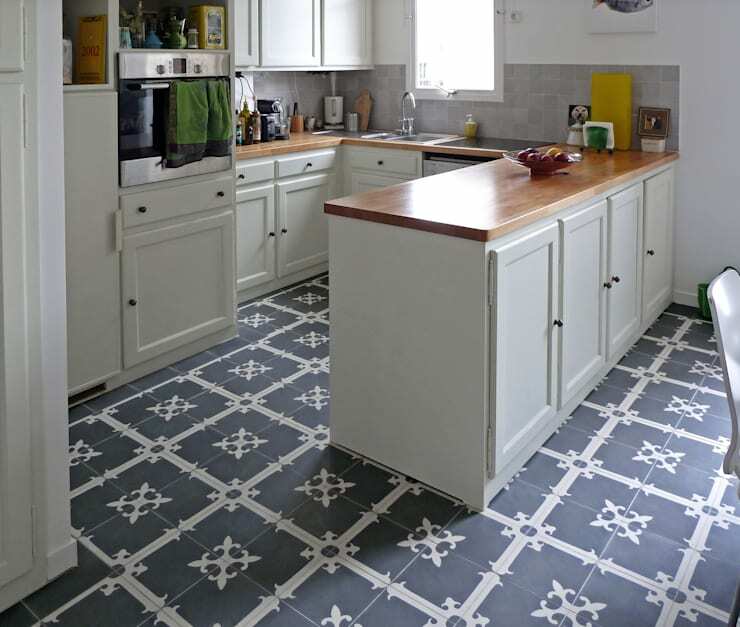 In addition to the walls, the kitchen floor is also significant and can be primarily responsible for the final aspect of the environment. 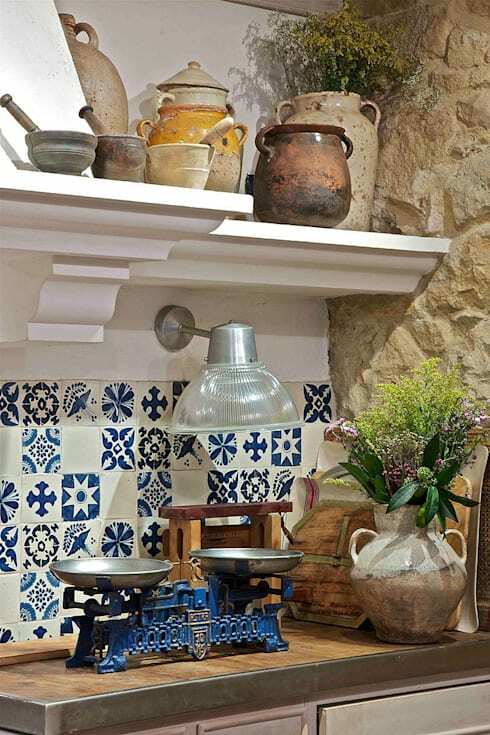 Using colorful or embossed pottery can bring life and joy to such rustic kitchens. Today's rustic kitchens are an excellent example of how different styles can coexist. Just make the right choices and keep harmony between various solutions. 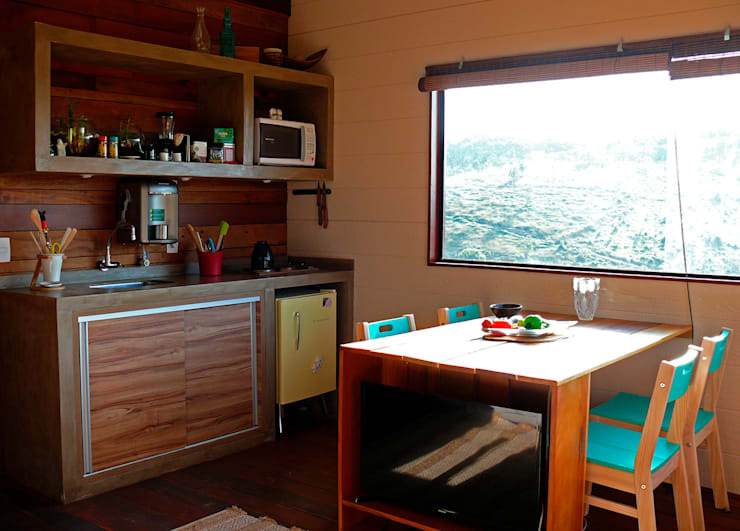 In this project, the furniture was made in modern style, but the finishes are rustic. 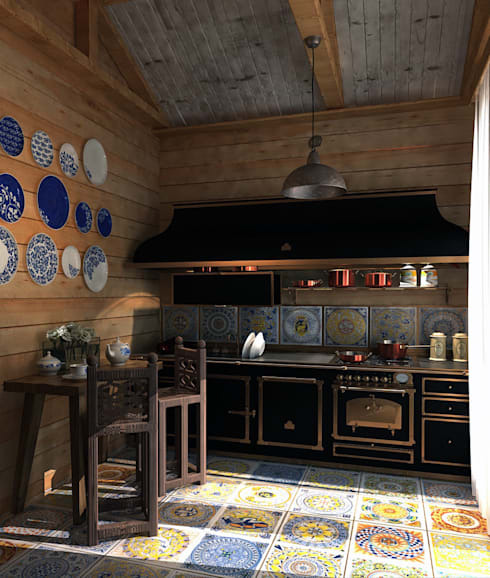 Wood is one of the first materials we think of when talking about rustic kitchens. It is a flexible material when it comes to finishes. You can even achieve contrast using only wood. For example with the natural countertop and the blank cabinets. The rustic style gives us the opportunity to reuse old furniture. A simple overhaul can provide a new face for such furniture. Later it can be incorporated into the kitchen composition easily. 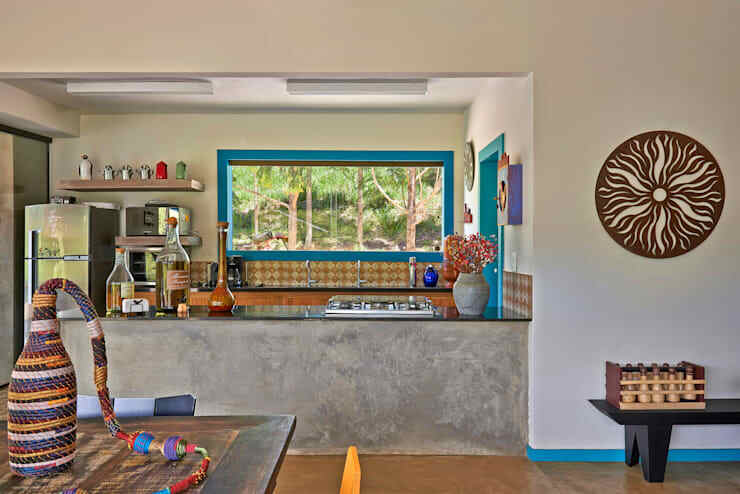 A rustic kitchen is not synonymous with uniformity and monotony. That is why colors can arise to leave the atmosphere cheerful and full of style. Some vibrant details can also make the small space look radiant. A small kitchen should be planned in a practical, functional and straightforward way. The work area is all concentrated in a furniture designed with solid wood. It gives a rustic look to the entire room.